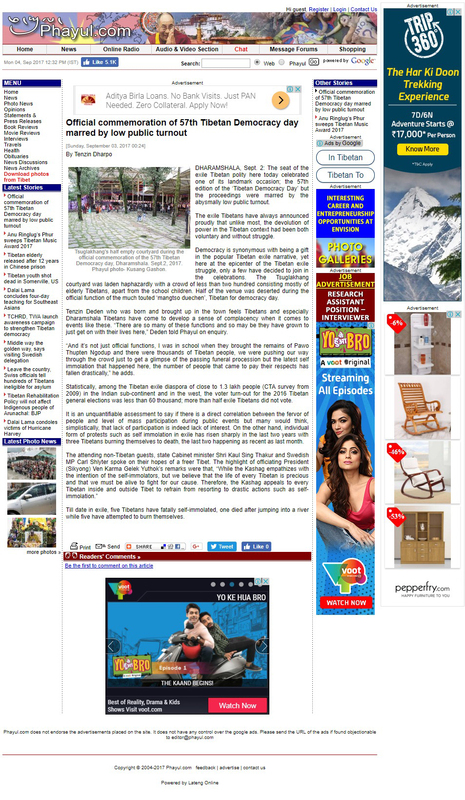 Celebrated in Dharamsala, the heart of the Tibetan exiled community, Tibetan Democracy day or ‘mangtso duechen’ is supposed to be a grand event. In the past, Tibetans have used this opportunity to declare to the world that its decentralization of power and creation of a supposedly democratic people was a conscious choice, without violence or conflict. But this year’s celebration makes it quite clear the Tibetan people no longer have faith in the Tibetan leadership (CTA; Central Tibetan Administration). 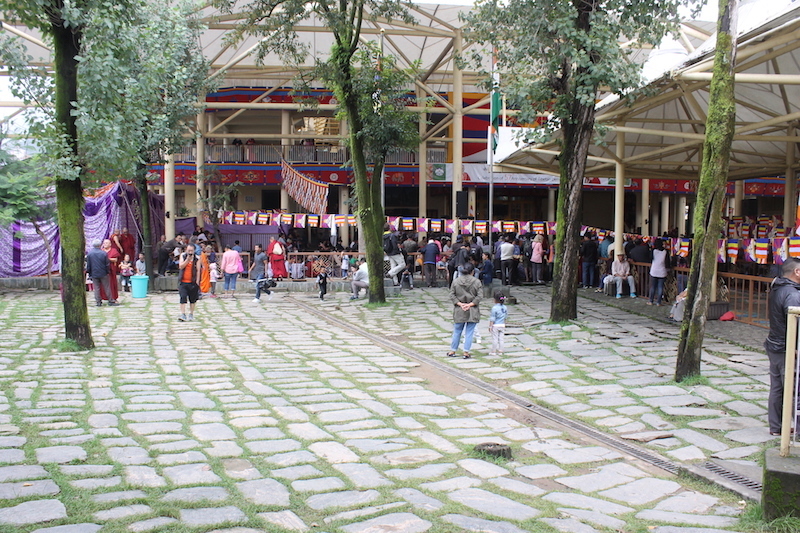 The courtyard of the Tsuglakhang temple complex, instead of being packed full of Tibetans celebrating their leadership, was mostly deserted with only less than 200 attendees. And most of them were the elderly or school children, who likely only attended since they were made to by their guardians. This ridiculously low turnout speaks volumes about how the Tibetans reject their own leadership. The courtyard of the Tsuglakhang temple complex, where Tibetan Democracy day was celebrated. Waning support for the Tibetan leadership led to an embarrassingly low turnout. Tibetans did not attend their own leadership’s celebration because they realize that their leadership is corrupt, inadequate and selfish. From allegations of murder, violence, and financial mismanagement, the CTA is plagued by despicable revelation after revelation, unmasking their façade of a benevolent leadership. In fact out of the 130,000 Tibetans in exile, only 60,000 voted in the 2016 general elections. That is less than half the population. This decline in support therefore is not sudden, but a long time coming. The CTA use their people’s suffering to line their own pockets. They use the tragic cases of self-immolations to pander for funding from all over the world. The CTA take no firm measures to stop the practice. And the fact remains, the Tibetan people are getting so desperate for a solution that cases of such loss of life are on the increase. While the CTA continue to ‘venerate’ the poor souls, Tibetans themselves are sick and tired of the leadership making them into martyrs. They do nothing but glorify the dead for their own ends. While the CTA continue to get rich off the plight of the Tibetans, their people languish in the day-to-day fight to survive. Members of the Kashag and even Sikyong Lobsang Sangay himself have numerous cars or properties all over the world. Ordinary Tibetans on the other hand struggle selling sweaters from Ludhiana on the streets with no hopes of a better future, despite the promise of a beneficial leadership. The CTA dress up a political system that continues a backward theocracy as a democratic system. The CTA uses illegal means to solidify their own standing, such as gaining foreign nationality, but at the same time takes measures to prevent their own people from doing the same according to Indian or international law and being free of their refugee status. The CTA promote a community based on division and segregation rather than a unified Tibetan people. They use religion to divide and conquer. The CTA recognizes a Panchen Lama different to the one accepted in Tibet, they suppress the practice of Dorje Shugden, and they even stay quiet over forced religious conversion. The CTA cannot even decide which overall path to follow in regards to their own country. His Holiness the Dalai Lama advocates the middle-way approach (umaylam) in the hopes of realistically regaining some form of control over Tibet by the Tibetans. However, whole sections of the Tibetan parliament hold conferences to progress the full independence (rangzen) agenda in direct defiance of their own government’s policy. The signs and their causes are clear to see. The CTA is dying a slow and painful death. Not only is the world turning their backs on the CTA, even their own people reject them now. The turn out to the celebration was shameful and foreign dignitaries who attended caught a first-hand glimpse of just how low an opinion the Tibetan people have towards their own leadership these days. Tibetans are not happy and this is publically embarrassing for the CTA. The Tibetans are tired of the CTA. They are tired of policies that divide people, destroy unity, are fraught with double standards and do nothing for the Tibetan people. The CTA is losing control and it will not be long before they are completely obsolete. Left: Sikyong Lobsang Sangay hoisting the Tibetan flag in 2011. 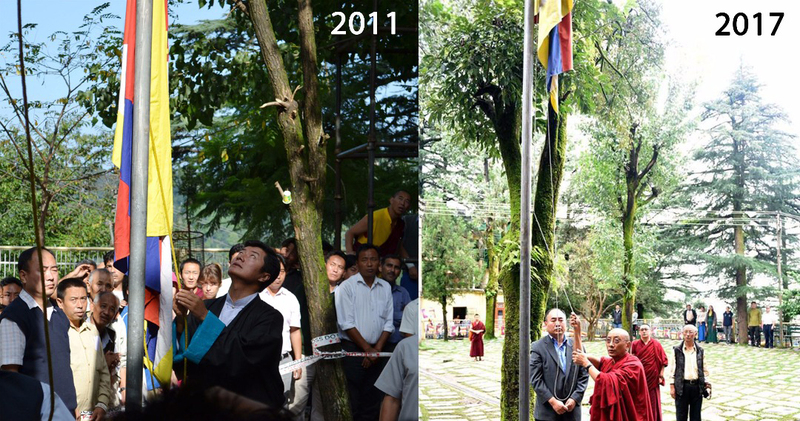 Right: Kalon for Department of Religion and Culture, Ven Karma Gelek Yuthok, hoisting the flag in 2017. There was a marked lack of attendance during the event. Even Sikyong Lobsang Sangay was off gallivanting in another country, he did not even make the effort to attend such an important event which he would normally officiate. The Tibetans waited for 60 years for the CTA to free Tibet, it is not because they believe in the CTA but because of the Dalai Lama. They are devoted followers of the Dalai Lama and they took the risk to escape Tibet so that they can be close to him. Now that the Dalai Lama is old and they don’t see how it will be possible for them to go back to Tibet once the Dalai Lama enters into clear light. Instead of waiting for the CTA to do something for them, the Tibetans decide to make a plan for themselves and move on. They may not have lost their faith in the Dalai Lama but most of them have lost their faith in the CTA. What have the CTA done for the Tibetans in the last 60 years? Nothing. 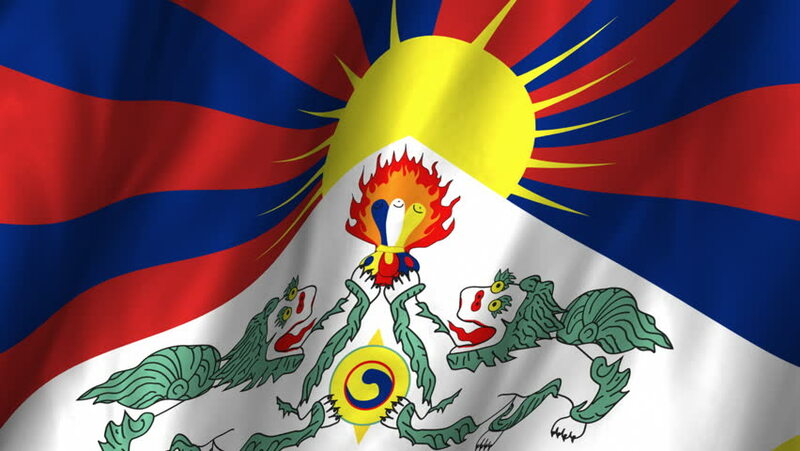 They did not free Tibet, they did not establish a good relationship with China, they do not have a plan for the Tibetans. I feel sorry for the Tibetans, they are the luckiest refugees in the world. With so much support and help from people all around the world, the CTA could have done more to protect the Tibetans, to preserve their culture and religion but they are only focusing on benefitting themselves and neglect the welfare of the Tibetans. 60 years is enough for someone to wait for something good to happen. If nothing good has happened, it is time to move on.